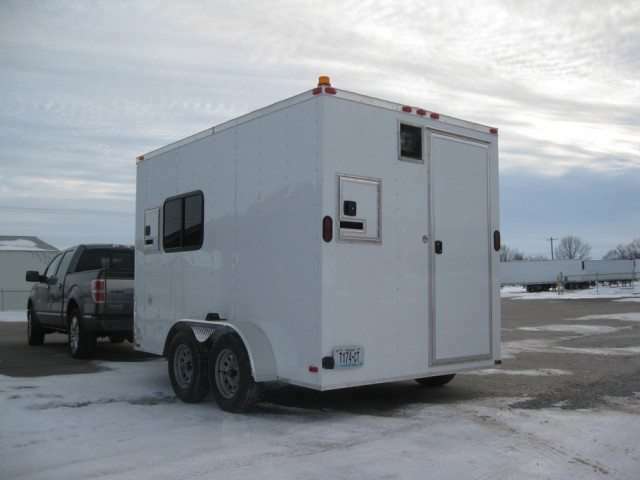 MO Great Dane stocks Fiber Optic Splicing Trailers ready for pick-up or delivery. 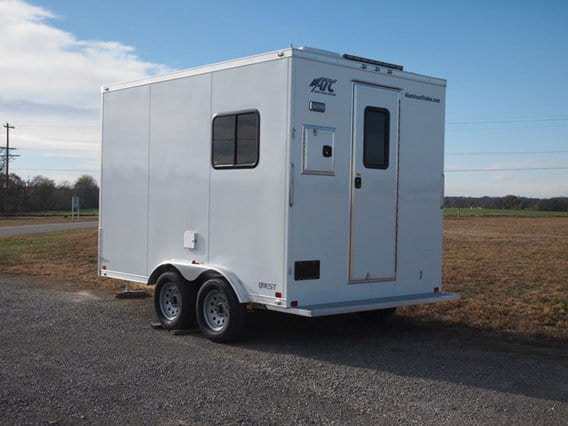 Our most popular cable splice trailer sizes include the 6x10 and 7x12, with many custom sizes available including 5x8 and 8x12. 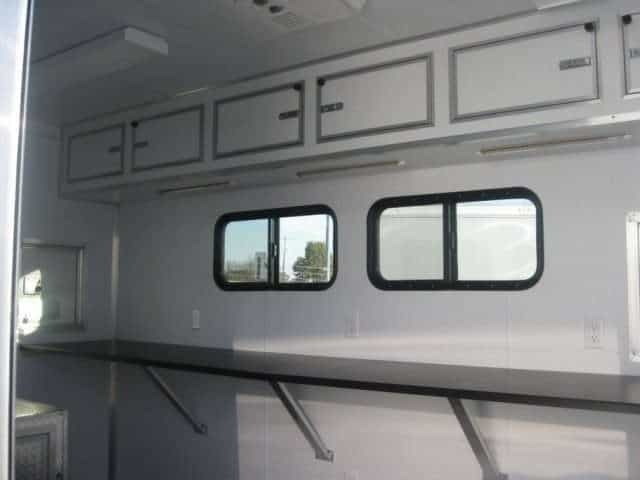 Fiber trailers include roof mount air conditioning, interior counter, RV entry door, fiber optic cable door with brush seal, strobe light, flood light, interior lighting and outlets, white interior walls and ceiling, slider window, and service panel with shoreline. 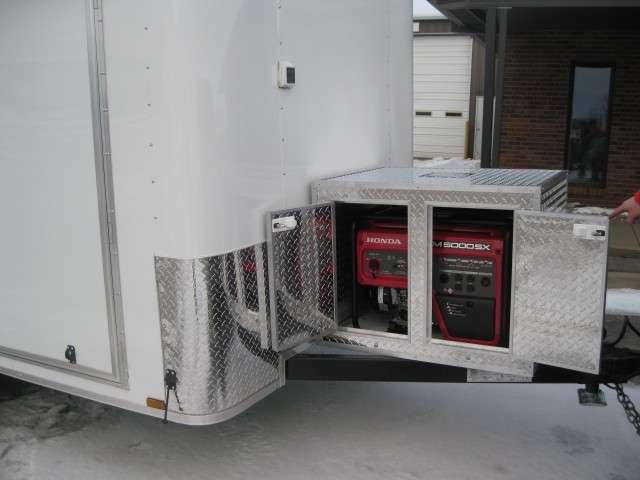 Popular options include tongue mount Honda or Onan generator, rear step bumper, LED arrow board, overhead cabinets, floor cabinets or drawers, fiber optic cable clamp, pintle coupler, and much more. 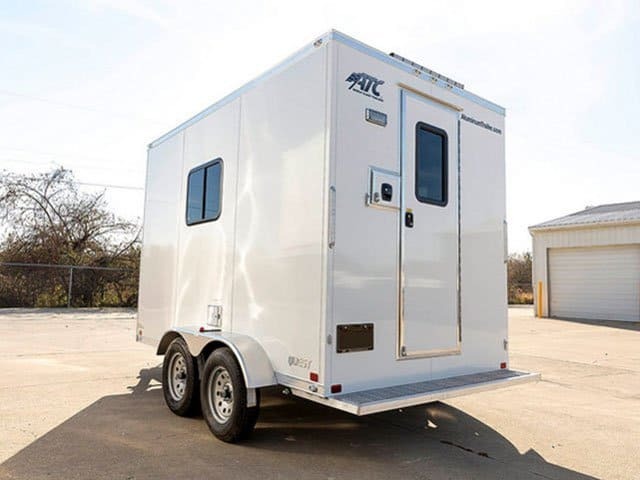 See below for In-Stock Trailer images and prices; you can specify a custom built Fiber Optic Splicing Trailer using the Request a Quote Form. For inquires, Contact Us Online, or Call Us at +1 (573) 545-3065. 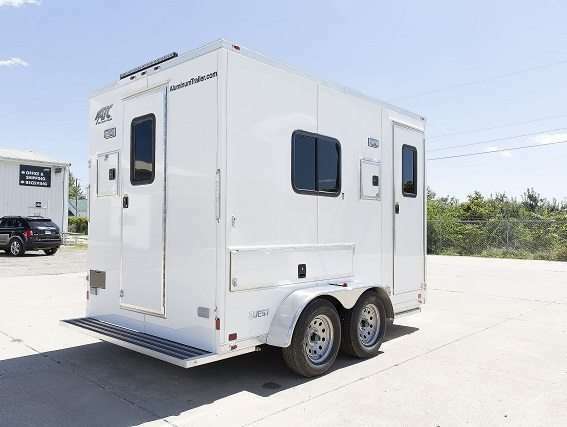 16×18 cable entry door w/ brush seal, side and rear entry door, strobe light, flood light, interior counter, overhead cabinets, heat, AC, insulation, windows, 50-amp electrical package. 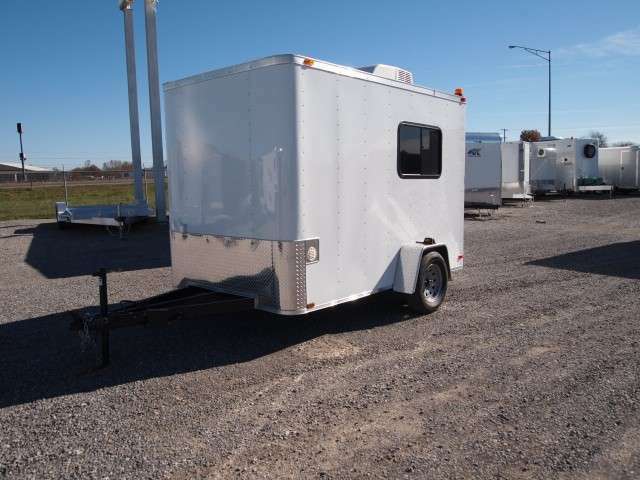 Trailer includes strobe lights, flood lights, interior counter, overhead cabinets, entry doors, cable doors, heat, AC, insulation, windows, and 50-amp electrical package. 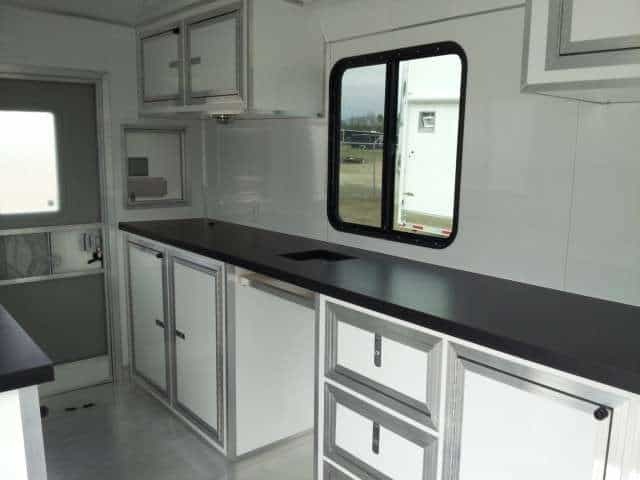 Includes 8-inch aluminum tube frame, Onan generator with 24-gallon fuel tank, 2 strobe lights, 2 LED flood lights, interior counter with cabinets and drawers, overhead cabinet with shelf, more. 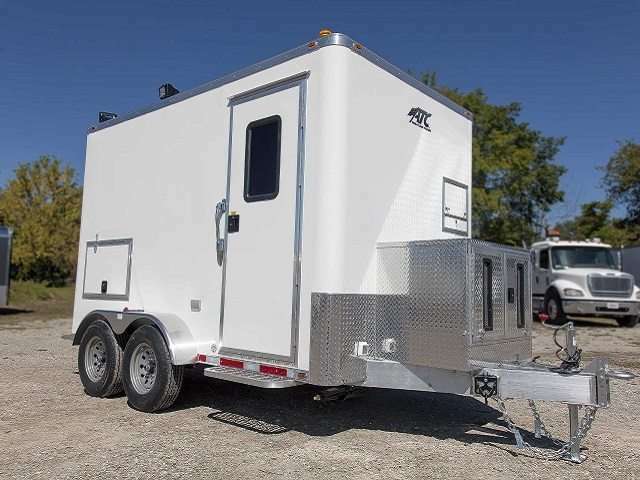 Loaded unit comes with 8-inch aluminum tube frame, directional LED arrow board, Onan generator with 24-gallon fuel tank, LED scene lighting, LED interior lighting, 13,500 AC unit, more. 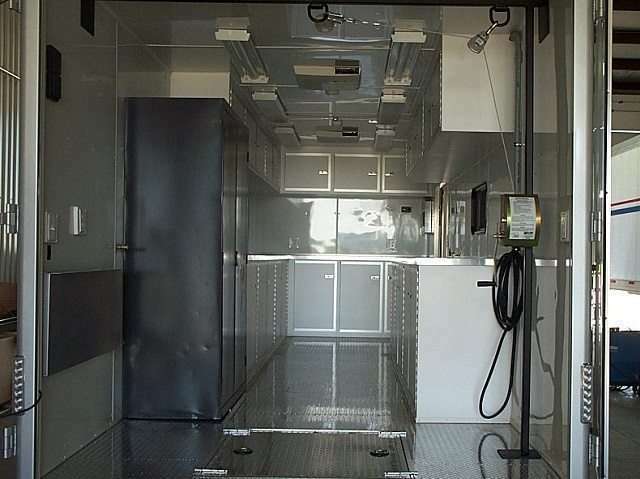 8” aluminum frame and tongue, LED interior ceiling lights, LED scene lights, Onan generator with 24-gallon tank, a 5 year nationwide warranty, 2 cable doors, 2 entry doors with windows, much more. 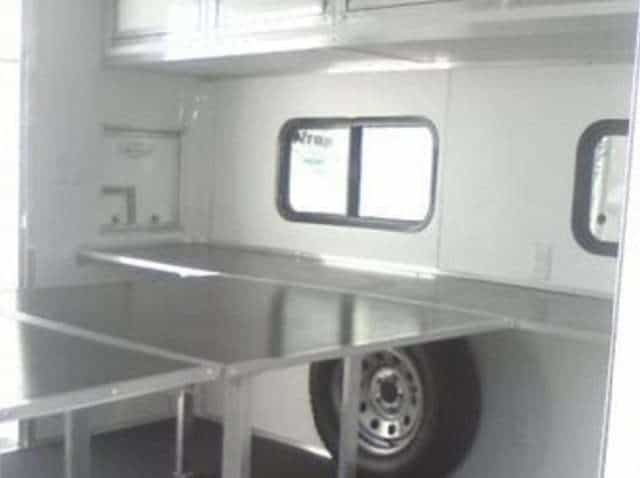 Loaded unit includes aluminum cabinets w/ drawers and doors, overhead cabinets, overhead shelf w/ ledge and and cargo nets, counter cutout for fusion splicer. 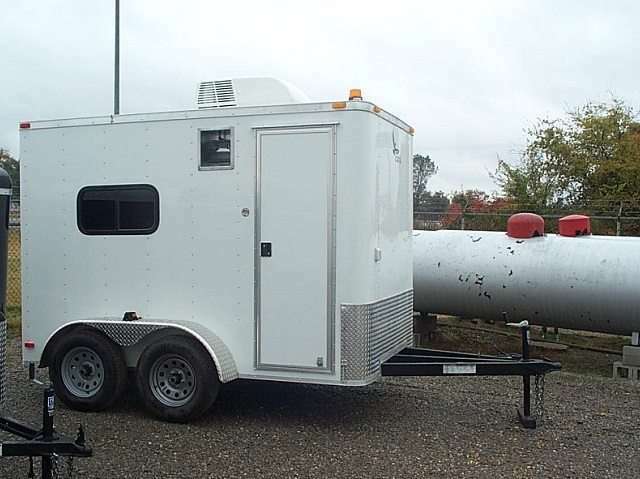 MO Great Dane also designs and delivers Custom Fiber Optic Cable Splicing Trailers. 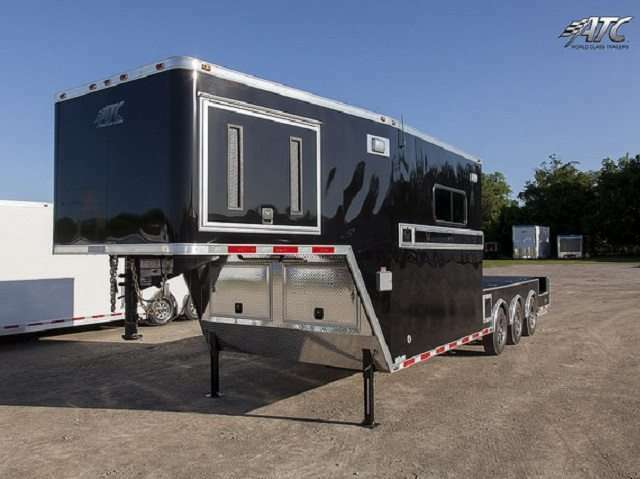 Click on an image below to see galleries of our featured past builds. 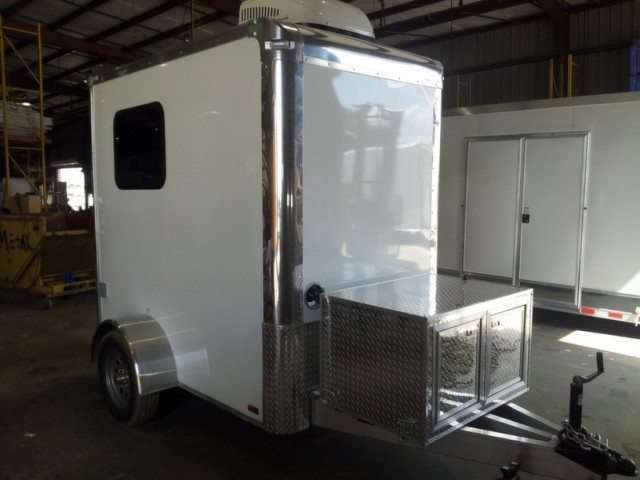 Request a Quote today to get started on your custom trailer!